The Gift That Keeps on Giving from Om Maui! 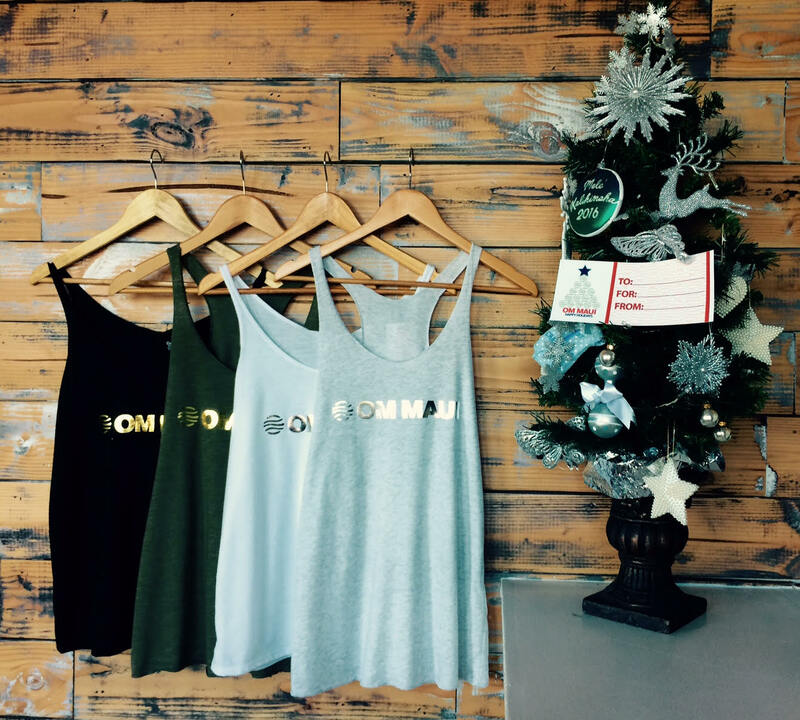 If you’re looking for a last minute gift, our gift certificates, shirts and other merchandise are perfect stocking stuffers and motivational presents. Give the gift that keeps on giving with gift certificates available for classes, private training and massage services. Our reception will be open until 1pm today (the 23rd) and until 11.30am tomorrow (the 24th). Happy Holidays! Prev Pre-Holiday Spin Class on Friday! Next Happiest of Holidays from Om Maui!